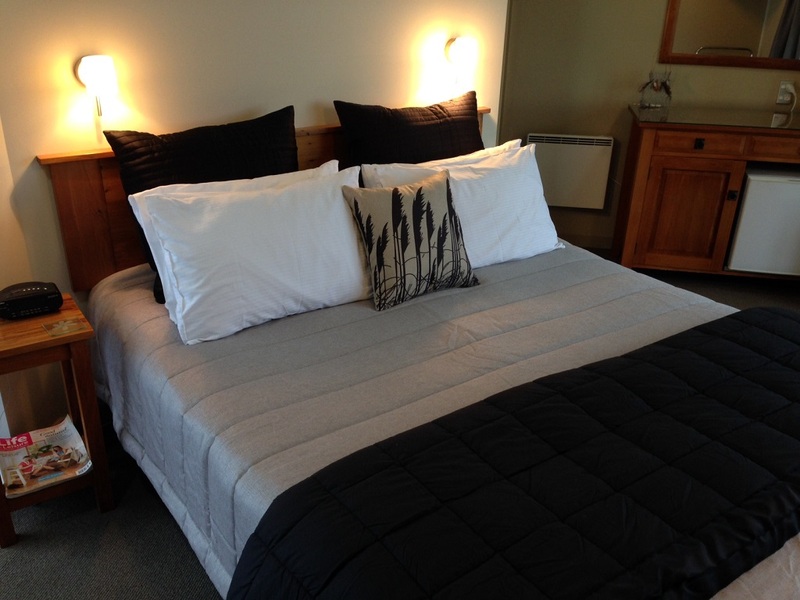 Discover the affordable luxury and comfort of Cape Foulwind’s owner-hosted Omau Settlers Lodge Motel, built to the character of yesteryear. Separated from the main lodge are eight well-appointed king studios, each positioned to give guests maximum privacy. All studios are furnished to the highest standard with crafted rimu features, super comfortable beds, seating area & desk to create an atmosphere of comfort and relaxation. 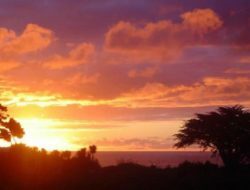 With patio doors at either end of your studio you can enjoy stunning scenery of the Paparoa ranges or spectacular sunsets across the Tasman sea. 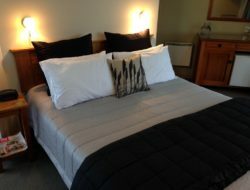 Included in your stay is a complimentary continental breakfast, guest lounge, use of the outdoor hot tub (set amongst native bush), outside seating and a BBQ area. 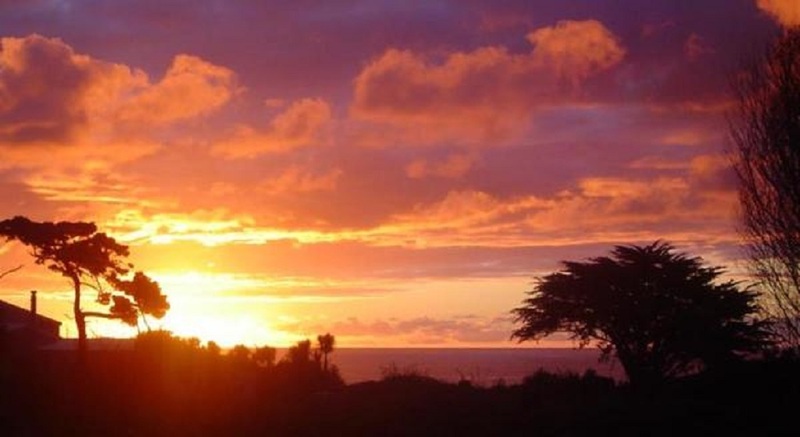 Omau Settlers Lodge is a short walk to the beach and stunning Cape Foulwind Walkway. It is also situated next to the Star Tavern which is well known for friendly locals and good honest pub meals. 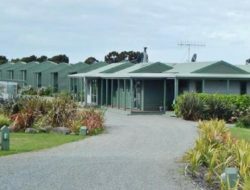 Omau Settlers Lodge is your ideal base for an extended stay to explore the untamed natural wilderness of the West Coast, South Island, New Zealand. 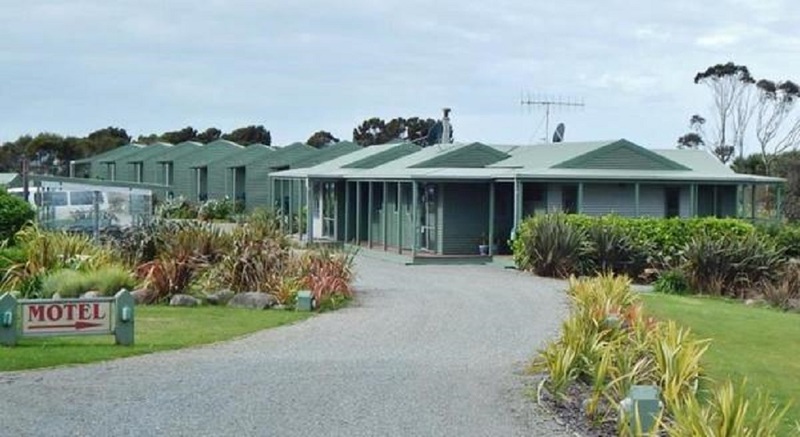 The Cape Foulwind Walkway & Seal Colony is a five minute drive; and the popular Denniston Plateau, Charming Creek Walkway, Punakaiki Pancake Rocks & Blowholes & Underworld Adventures (Cave Rafting & Glow Worms) are all within a half hour drive from the lodge. Restaurants, shops, service stations & supermarkets are a ten minute drive from Omau Settlers Lodge in nearby Westport town. All reservation enquiries welcome. Contact Us.